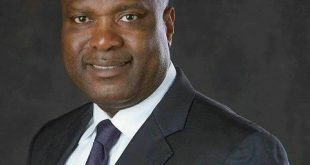 RE : CONCERNED AKWA IBOM YOUTHS——–NSIMA EKERE’S ILL – ADVISED WAR ON CHRISTIANS IN AKWA IBOM STATE. As the leading political party in Akwa Ibom State, we are shocked, embarrassed and petrified by the crisis that has engulfed our State House of Assembly in the last one week, and from all our investigations, we wish to state categorically that Gov. Udom Emmanuel is solely responsible for this crisis and so he should bear full responsibility for it. This problem and the manner in which Mr Udom Emmanuel has managed it have once again underscored our repeated warnings that our governor is not only incompetent in executing the office of the governor, but lacks the temperament and maturity to hold the exalted office. He is irascible, petty, small-minded, intolerant and arrogant, and so the governor’s strings of political difficulties are largely self-afflicted and will likely consume him in the weeks ahead. 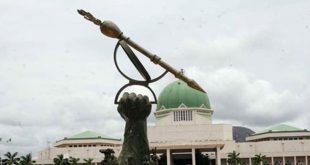 On Monday last week (Nov 19), Mr Onofiok Luke, the then Speaker of the House of Assembly, declared the seats of five APC members of the House vacant on the excuse that they had decamped from the PDP, despite the fact that the five members had either obtained a court injunction against the Speaker as in the case of Hon. Nse Ntuen, or had instituted a court action against the Speaker in order to preempt such action by the Speaker. But as we are reliably informed the former Speaker’s went ahead to declare their seats vacant because of immense pressure from the governor who had vowed that the five members would never return to the House for their temerity to defect from the PDP. 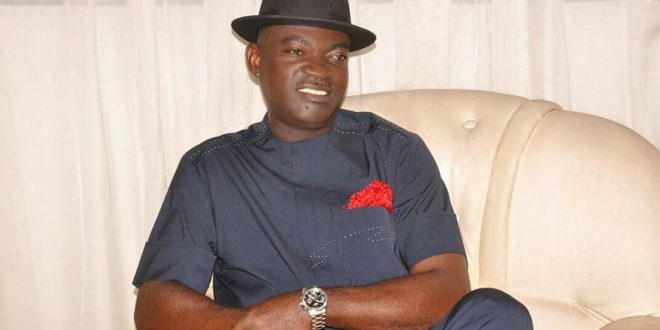 It was for this reason that the Governor stormed the House of Assembly in the morning of Tuesday, 27th November, accompanied by a large crowd of thugs, some policemen, officials of the DSS and some of his Commissioners and other government officials. 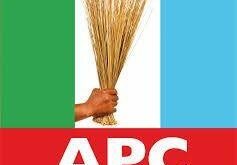 In the Assembly, the five APC lawmakers were beaten up by the Governor’s thugs, obviously on the orders to the governor. To the horror of onlookers, the accompanying security officials did not come to the rescue of the pummeled APC legislators. At least one of them, Mr Ntuen, has been hospitalized for his injuries sustained at the hand of these cultists. 1. The new Commissioner of Police in the state is partisan and had helped the APC law makers gain access into the premises of the Assembly. Watching the Governor on TV this evening, we note that Mr Udom Emmanuel appeared glazed and sounded uncoordinated, inebriated and disjointed. We are convinced that Mr Udom Emmanuel is no longer of sound mind and good mental health. We note also that in many Houses of Assembly across the federation, and indeed in both the Senate and House of Representatives, there have been many cross defections across party lines in the last several months. It is only in Akwa Ibom House of Assembly that the Speaker, goaded and pressured by the governor, has been intolerant and immature enough to declare seats vacant. An Ibibio proverb says: He who takes ants-infested firewood into his home should be ready to receive lizards. The former Speaker and his governor should be ready to solve this problem they brought upon themselves, or they would bear full consequences. Last year, the only APC member in the our House of Assembly elected on the platform of our Party, Hon. Asukwo Archibong, had defected to the PDP. Mr Onofiok Luke did not declare his seat vacant. The Governor was happy about it. As a Party, we handled the loss of the only lawmaker with calmness and fortitude. But this year, in an uncanny reversal of fortune, five PDP members have moved into our Party, Udom Emmanuel and his Stooge, Onofiok Luke, are too bigoted to bear the humiliation! How can the duo expect peace with such a level of injustice, impunity and double standards? 1. We express absolute confidence in the new Commissioner of Police who arrived the State only a few days ago on his new posting. We ask him to perform his duties creditably well no matter the inducement and intimidation from Udom Emmanuel. 3. Since Udom Emmanuel instigated this crisis by pressuring Mr Onofiok Luke to declare the seats of the APC legislators vacant, both of them should solve the problems. Calling on the President to intervene in the crisis they created is childish and amateurish. 4. Senator Godswill Akpabio has no hand in this crisis; and so the governor’s resort to heaping insults and abuse on him is amounts to creating distraction. Since Senator Akpabio left the PDP in August, our governor has been so psychologically deflated that he blames the distinguished senator for all his afflictions, including his family problems! 5. Should the governor fail to address this problem, we call on the President to declare a State of Emergency in Akwa Ibom state and subsequently remove Udom Emmanuel from Office. Udom Emmanuel has not only flouted the law and breached the principle of separation of powers by invading the House of Assembly with murderous gang of thugs, the governor himself appears to be too unwell to occupy the exalted office.